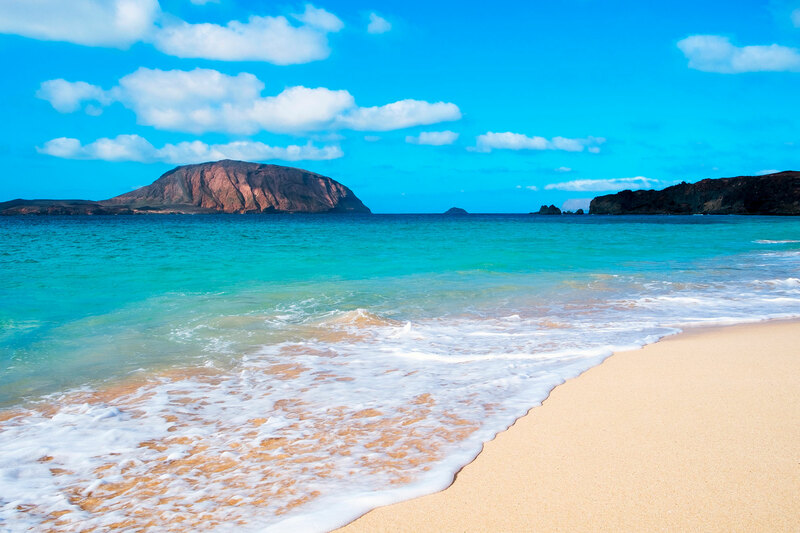 With the recent decision from the General Commission of the Autonomous Communities of the Senate, La Graciosa has been accepted as the eighth and newest Canary island. As the least inhabited of the archipelago, the 710 residents here managed to gain around 4,000 signatures for their petition, so that they could be acknowledged as one of the big eight. 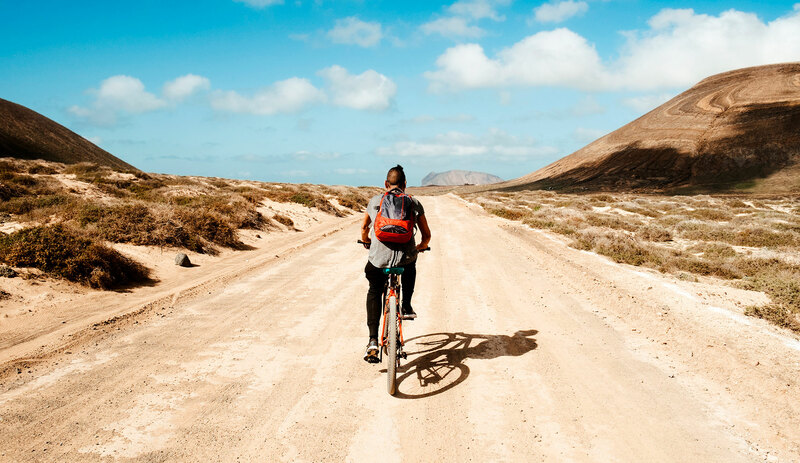 La Graciosa may be the least densely populated island, but it may also hold some of the greatest features of all. As with all the Canary Islands, there are beautiful golden beaches and azure seas waiting to be explored. But the only difference with La Graciosa is that they are empty as the island has so few tourists (around 25,000 per year) and locals. The beach of Playa de El Salado is almost a mile long and it plays host to a campsite where you can get picture-perfect photos. Nearby to most beaches are idyllic waterside fish restaurants where you can sample the local cuisine for yourself. 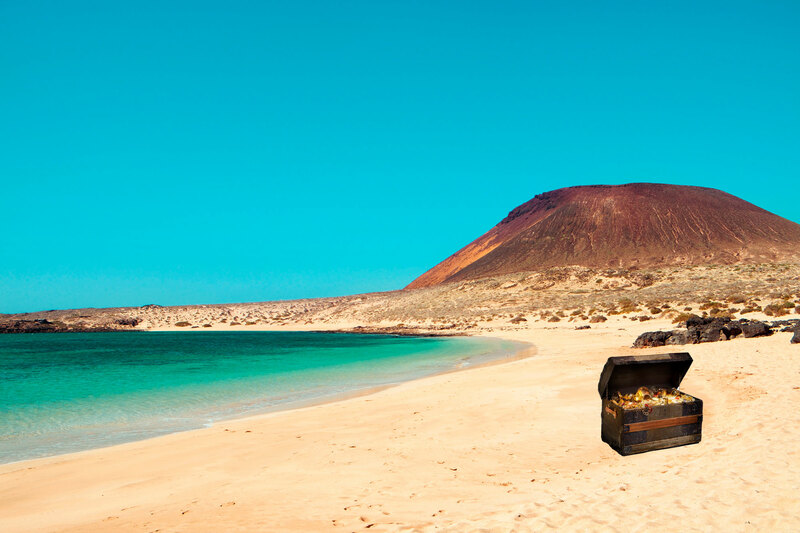 La Graciosa is also known as a treasure island. Some people still believe that there is buried treasure on the island today. According to the story, a British Crew sailed to the island in the 1760s to shelter themselves from the harsh Atlantic Ocean. In fear, they buried their treasure on the island to hide it from any other invaders, something that was confirmed by an Admiral Hawke in the 18th century. The treasure still remains a mystery to this date. Like its neighbours, the island of La Graciosa was also created by volcanoes and has managed to become a UNESCO World Heritage site thanks to Parque Natural del Archipielago Chinijo, established in 1986. The geopark helps preserve the natural ecosystem of the island such as the marine and bird life. As part of this diverse island, there is a volcanic rock formation that has been built up of basaltic materials that are formed during the three volcanic stages. Best suited for explorers, the island features many walkways for hiking, trail running and cycling alike. The tourist board has carefully planned out three different routes across the island to avoid walking into any protected areas and allowing for unforgettable views. The island’s largest route is 20 miles long and is advised to be completed via mountain bike. Whilst adventuring along the path, there are plenty of stops at beaches where you may have the option to try surfing or kiteboarding before completing the rest of the trail. There aren’t many options for accommodation on the island, so don’t expect any five-star hotels. But the island does have some hidden gems amongst the small towns and villages, where you can find ideal accommodation throughout your stay. Plus, you can choose a more scenic experience and decide to camp in one of the designated camping zones. Whatever you choose to do, you can enjoy colourful cuisine and friendly locals to greet you along the way. If you are looking to explore the latest Canary Island then book a stay at Hotel Jardín Tecina. With great early booking discounts, you can call our experts on 0800 035 0704 to book your adventure today.